Welcome to the tipsheets.co.uk website. Here you will find details of stockmarket publications and services provided by The McHattie Group, which has been publishing advisory newsletters since 1987. The McHattie Group is authorised and regulated by the Financial Conduct Authority. Our specialist areas are investment trusts, warrants (including subscription shares and covered warrants), and technology stocks. 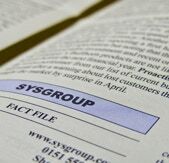 Between them our three newsletters have more than 80 years of history, providing guidance and advice to investors. Please click on one of the links below to select your area of interest. There is an important risk warning at the foot of the page. Investment Trust Newsletter provides unique insight from our manager meetings and the stockbrokers’ research we receive. See the calendar dates for the next newsletters - make sure you don’t miss the next issues. Techinvest has a proud history stretching back to 1984, and many loyal subscribers have been with the newsletter for many years. Stretching back to the 1980s, our long track record is testament to the value we have delivered for subscribers. Unique coverage - as far as we know, no-one else covers each of these areas in the same way that we do. You have the peace of mind of knowing that we are FCA regulated, meaning that we must maintain high standards of research and behaviour, and treat all of our customers fairly. Our research on investment trusts is often based on face-to-face meetings with the managers. We regularly see them at our offices in Bristol, and we also attend professional seminars and conferences that are not open to private investors. Andrew McHattie has an unrivalled knowledge of all forms of warrants, and is well-known as an expert in this sometimes complex field. Techinvest advises clients on exactly which shares to buy to aim to profit as new technology unfolds. Investment Trust Newsletter: 3i Infrastructure, Aberdeen Smaller Companies Income, Aberforth Smaller Companies, Acorn Income Fund, Alliance Trust, Allianz Technology Trust, Apax Global Alpha, Artemis Alpha Trust, Atlantis Japan Growth Fund, AVI Japan Opportunity, Baillie Gifford Japan, Baillie Gifford Shin Nippon, Baillie Gifford UK Growth, BH Macro, BlackRock Latin American, BlackRock North American Income, BlackRock World Mining Trust, Bluefield Solar Income, British Empire, Canadian General Investments, Carador Income, Downing Strategic, Dunedin Enterprise, Edinburgh Dragon, Edinburgh Worldwide, EF Realisation Company, Empiric Student Property, Establishment Investment Trust, Fidelity China Special Situations, Fidelity European Values, Fidelity Special Values, Finsbury Growth & Income, Foreign & Colonial Investment Trust, GCP Infrastructure, GCP Student Living, The Global Sustainability Trust, Greencoat UK Wind, Gresham House Energy Storage Fund, Gresham House Strategic, Hansa Trust, Henderson Alternative Strategies Trust, Henderson Eurotrust, Henderson Far East Income, Henderson International Income, Henderson Smaller Companies, HgCapital Trust, HICL Infrastructure, ICG Enterprise Trust, Independent Investment Trust, Infrastructure India, International Biotechnology, John Laing Infrastructure, JPMorgan American, JPMorgan Chinese, Lindsell Train, Miton Global Opportunities, Majedie Investments, Merian Chrysalis, Monks, Murray International, Pacific Assets, Pantheon International Participations, Perpetual Income & Growth, Personal Assets Trust, Picton Property Income, Polar Capital Technology, RIT Capital Partners, River & Mercantile UK Micro, Riverstone Energy, Schroder Japan Growth, Scottish Mortgage, Smithson Investment Trust, Stenprop, Syncona, Target Healthcare REIT, Templeton Emerging Markets, Tetragon Financial Group, TR European Growth, TR Property, Tritax BigBox, Utilico Emerging Markets, Vietnam Enterprise, Witan Investment Trust, Woodford Patient Capital Trust, Worldwide Healthcare Trust. Warrants Alert: Apple, Fidelity Asian Values, Geiger Counter, Golden Prospect Precious Metals, Gresham House, HSBC, Landscape Acquisition, Lloyds Banking Group, Man Group, Marks & Spencer, Myanmar Investments, Prudential, RBS, Raven Property Group, Rio Tinto, Royal Dutch Shell, Vodafone. Techinvest: Accesso Technology , Alfa Financial, Amino Technologies, APC Technology, Applied Graphene, Attraqt Group, BATM Advanced Communications, Beeks Financial Cloud, Big Sofa Tech, BigBlu, Blancco Tech Grp, Blue Prism, Blur Group, Brady, Castleton, Centralnic, Cerillion, Clinigen, Cloudbuy, Cloudcall Grp, CML Microsystems, Computacenter, Corero Network, Craneware, CyanConnode, D4t4, Dialight, Digital Barriers, Dillistone, Dotdigital, Eagle Eye, Eckoh, ECSC, Eg Solutions, Elecosoft, Elektron, Emis , Escher Grp, ESERVGLOBAL DI , FDM Group, Fidessa Group, Filtronic, First Derivatives, Forbidden Technologies, Fusionex, GAMMA COMS , GAN, GB Group, Gfinity, Gloo Networks, Gooch & Housego, Gresham House Strategic, Gresham Tech, Ideagen, Idox, Imagination Technologies, Imimobile, Immupharma, Ingenta, Instem, Iomart, IQE, Judges Capital, K3 Bus.Tech., Kainos Group, Kape Technologies, Keywords, Kromek, Laird, Lidco, Lightwave RF, Lombard Risk Management, Mercia Technologies, Microgen, NCC , Nektan, Netcall, Netdimensions, Next Fifteen, Osirium Tech, Oxford Metrics, Oxford Metrics, Parity, Pelatro, Pennant, Petards, Photo-Me, Playtech, Proactis, Quartix, Quixant, RM, Sanderson, Scisys, SDL , Seeing Machines, Senior, Servelec, Shearwater Group, Softcat, Solid State, Sopheon, Sophos, SQS, Stadium Group, Staffline, Statpro, STILO INTL , Surgical Innovations, Synectics, Tax Systems, Tekcapital, Telit, ThruVision, Touchstar , TP Group, Tracsis, Trakm8, Tribal Group, ULS Technology, Vectura, Vela Technologies, Venn Life, Vitec, Xlmedia, Zoo Digital, Zytronic. 29 Great George Street, Bristol, BS1 5QT. Tel: 0117 407 0225. Warning: you should not buy shares or warrants with money you cannot afford to lose. This web site is intended for UK investors. Options and other derivatives, warrants, and margined transactions. This warning notice draws your attention to some of the high risks associated with warrants. The risks attaching to instruments and transactions of this kind are usually different from, and can be much greater than, those attached to securities such as shares, loan stock and bonds, such transactions often having the characteristics of speculation as opposed to investment. Warrants may involve a high degree of &apos;gearing&apos; or &apos;leverage&apos;. This means that a small movement in the price of the underlying asset may have a disproportionately dramatic effect on your investment. A relatively small adverse movement in the price of the underlying asset can result in the loss of the whole of your original investment. Moreover, because of the limited life of warrants, they may expire worthless. A warrant is a right to subscribe for shares, debentures, loan stock or government securities, usually exercisable against the original issuer of the securities. 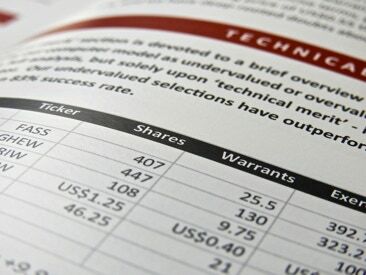 Because of the high degree of gearing which they may involve, the prices of warrants can be volatile. Accordingly, you should not buy warrants with money you cannot afford to lose. You run an extra risk of losing money when you buy shares in certain smaller companies including ‘penny shares’. There is a big difference between the buying price and the selling price of these shares. If you have to sell them immediately, you may get back much less than you paid for them. The price may change quickly, it may go down as well as up, and you may not get back the full amount invested. It may be difficult to sell or realise the investment. Because of the volatile nature of the investment, a fall in its value could result in your recovering nothing at all. Changes in rates of exchange may have an adverse effect on the value or price of the investment in sterling terms. As with other investments, transactions in warrants, shares, and investment trusts may also have tax consequences and on these you should consult your tax adviser. We have taken all reasonable care to ensure that all statements of fact and opinion contained on this site are fair and accurate in all material respects. Investors should seek appropriate professional advice if any points are unclear. This site is intended to give general advice only, and the investments mentioned are not necessarily suitable for any individual. It is possible that officers of the McHattie Group may have a beneficial holding in any of the securities mentioned. Published by The McHattie Group, St Brandon&apos;s House, 29 Great George Street, Bristol, BS1 5QT. Tel: 0117 407 0225. E-mail: enquiries@mchattie.co.uk. All rights reserved. No part of this site may be reproduced, stored in a retrieval system, or transmitted in any form by any means, electronic, mechanical, photographic, or otherwise without the prior permission of the copyright holder. The McHattie Group offers restricted advice on certain investments only. Authorised and regulated by the Financial Conduct Authority. Securitised Derivatives: these instruments may give you a time-limited right to acquire or sell one or more types of instrument which is normally exercisable against someone other than the issuer of that investment. Or they may give you rights under a contract for differences which allow for speculation on fluctuations in the value of the property of any description or an index, such as the FTSE 100 Index. In both cases, the investment or property may be referred to as the “underlying instrument.” These instruments often involve a high degree of gearing or leverage, so that a relatively small movement in the price of the underlying investment results in a much larger movement, favourable or unfavourable, in the price of the instrument. The price of these instruments can therefore be volatile. These instruments have a limited life, and may (unless there is some form of guaranteed return to the amount you are investing in the product) expire worthless if the underlying instrument does not perform as expected. You should only buy this product if you are prepared to sustain a total loss of the money you have invested plus any commission or other transaction charges.You should consider carefully whether or not this product is suitable for you in light of your circumstances and financial position, and if in any doubt please seek professional advice.